choose a style to get started. and receive your account credits. **Estimated tax only. Actual tax will be collected at checkout. See our Terms and Conditions. Fill out the form below to receive an emailed quote and exclusive offer that you can easily share with teachers and parents. 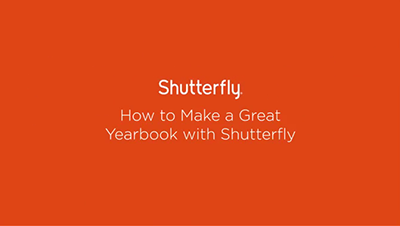 I consent to be called or emailed by Shutterfly at the number or email address provided above with yearbook pricing and product information initiated by manual or automated dialing systems. I understand that I am not required to provide this consent to be eligible to purchase products or services. with Idea Pages and Smart Autofill. Want to learn more? Watch our videos. Easily gather everyone's photos in one place with a Classroom Share Site. Download a PDF proof you can share with everyone before you order. 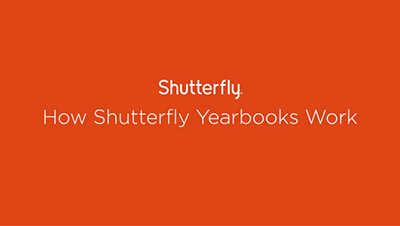 Shutterfly's award-winning Yearbooks are easy to make and share. They're printed in color, professionally bound, and make great gifts for teachers, parents and grandparents. Once you've prepaid and ordered the exact amount of Yearbooks you need, you can get started creating your books. Once you've finished your Yearbook and placed your order, the books arrive within 2 weeks of placing your order. Starting at $8 per Yearbook with free shipping, they're also incredibly affordable. To get started, just use our quote tool to determine the price of your books. Enlist the help of other parents to do different tasks such as collecting photos, proofreading the Yearbook final draft, placing the final order and distributing the books to the class. See our Yearbook To-Do List for a list of simple things you can do to keep your Yearbook process on track. Once you've prepaid for your Yearbooks and enlisted the help of other parents, you're ready to get started. An important step when creating your book is to choose a yearbook theme. Once the theme is chosen, start creating the cover for your yearbook, which will represent the yearbook theme. Now's the time to start taking lots of pictures, making sure to capture the students' everyday experiences as well as after-school activities and clubs, sporting events, field trips and more. You can also document their school year in a variety of ways such as: action shots of students performing at music recitals and plays, taking part in assemblies and playing in the school yard. Class outings are perfect opportunities for getting group shots of the students in relaxed settings. Photos of lockers, cubbies, a colorful wall, a school bell or blackboard can add nice visual interest to the yearbook pages when used as backgrounds. Create a Shutterfly Classroom Share site so parents can easily upload their photos after field trips and parties. If your child's school will permit it, let your child bring their camera to class and document in a day in their life from their own perspective. Photos like this will help balance out the look of your book. Use Shutterfly's pre-designed pages, such as Idea Pages and Smart Autofill™, to showcase all the important moments in your child's school year. You'll also want to include student artwork and writing samples, and a profile page for a teacher or coach with memorable yearbook quotes from students. Consider making a time-capsule page that showcases popular bands and current sports' stars, and a page for "Class Clown" and "Most Likely to Become a Rock Star". Encourage students to take lots of pictures on their own so that some fun, candid shots are available to round out the look of your Yearbooks. You'll want to create two drafts of your Yearbook, then be sure to proofread the final draft. Once you distribute the books, you'll see the students' reactions are well worth the effort! If you find that you need to order 10 or more Yearbooks after the initial delivery, you can purchase an additional Yearbook Prepaid Plan. If you need to order less than 10 books, you'll need to pay the price listed on the Shutterfly web site (using any available discounts). If you know of someone who wants to purchase additional books on their own, you can use the "Share" feature on the Shutterfly web site to email your Yearbook access. They will need to pay the price listed on the Shutterfly web site (using any available discounts). You can also post your Yearbook on your Facebook page, blog or share via email. Please see the FAQ page for more details.